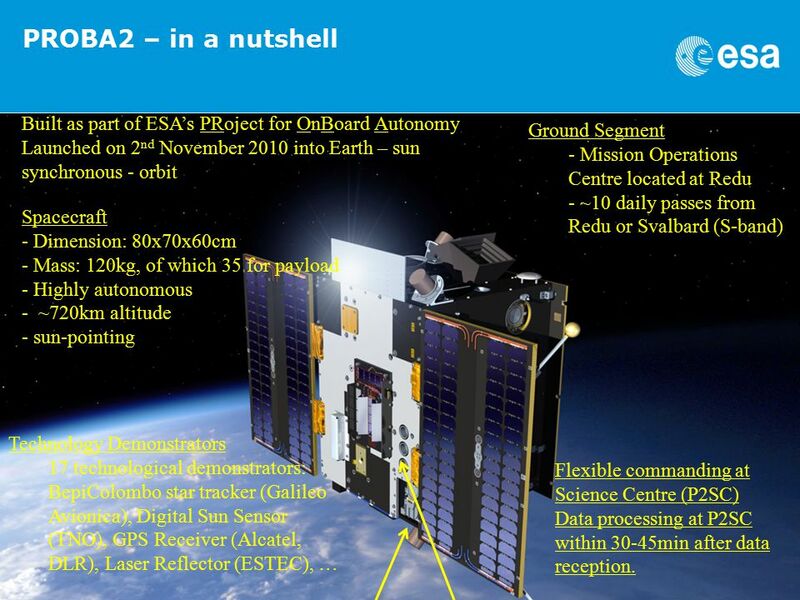 3 PROBA2 – in a nutshell Technology Demonstrators 17 technological demonstrators: BepiColombo star tracker (Galileo Avionica), Digital Sun Sensor (TNO), GPS Receiver (Alcatel, DLR), Laser Reflector (ESTEC), … Built as part of ESA’s PRoject for OnBoard Autonomy Launched on 2 nd November 2010 into Earth – sun synchronous - orbit Ground Segment - Mission Operations Centre located at Redu - ~10 daily passes from Redu or Svalbard (S-band) Spacecraft - Dimension: 80x70x60cm - Mass: 120kg, of which 35 for payload - Highly autonomous - ~720km altitude - sun-pointing LYRA SWAP Flexible commanding at Science Centre (P2SC) Data processing at P2SC within 30-45min after data reception. 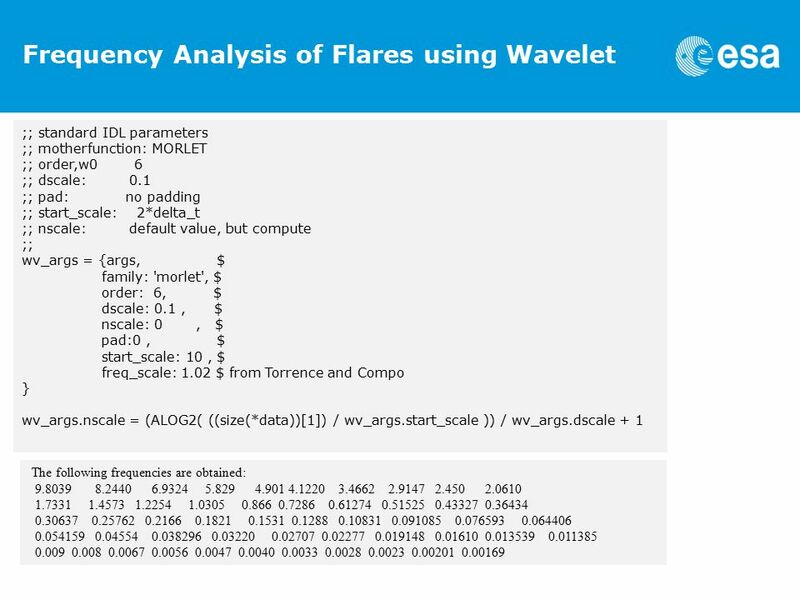 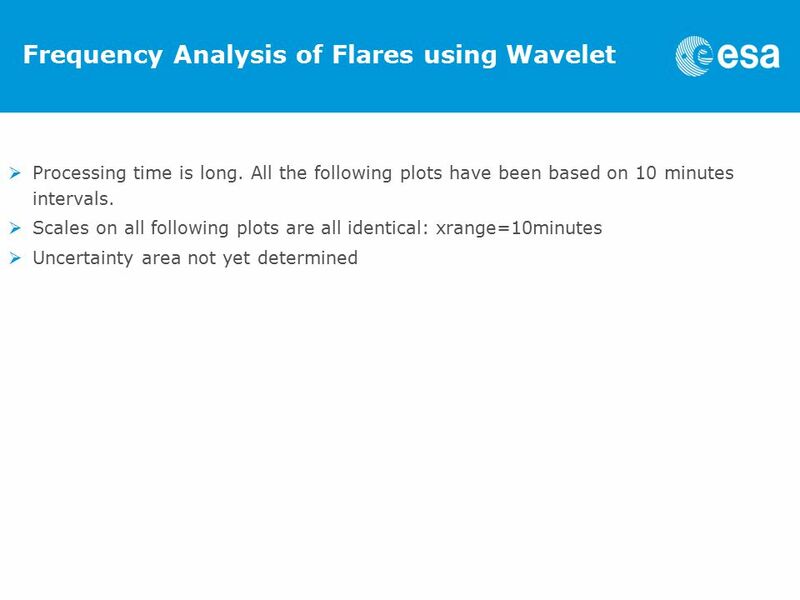 11 Frequency Analysis of Flares using Wavelet The continuous wavelet transform of a discrete sequence x n is defined as the convolution of x n with a scaled and translated version of ψ o (η): By varying the wavelet scale s and translating along the localized time index n, one can construct a picture showing both the amplitude of any features versus the scale and how this amplitude varies in time. 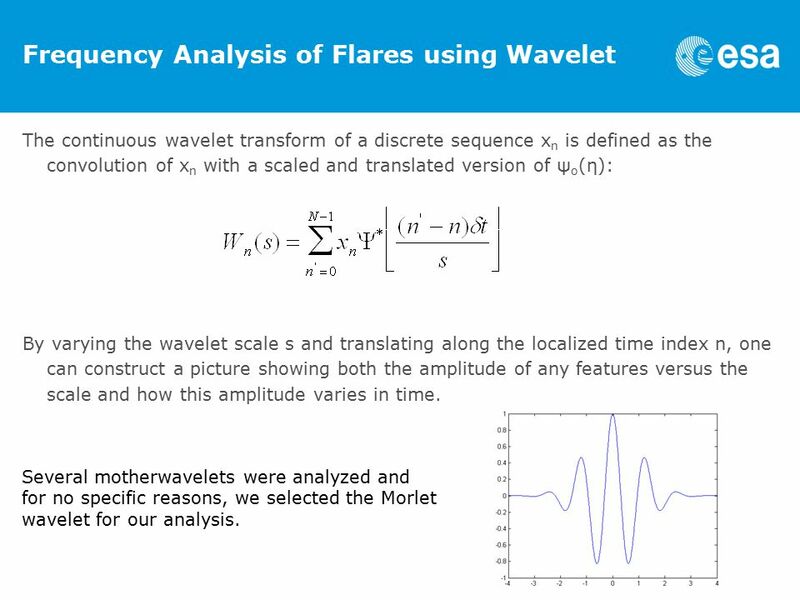 Several motherwavelets were analyzed and for no specific reasons, we selected the Morlet wavelet for our analysis. 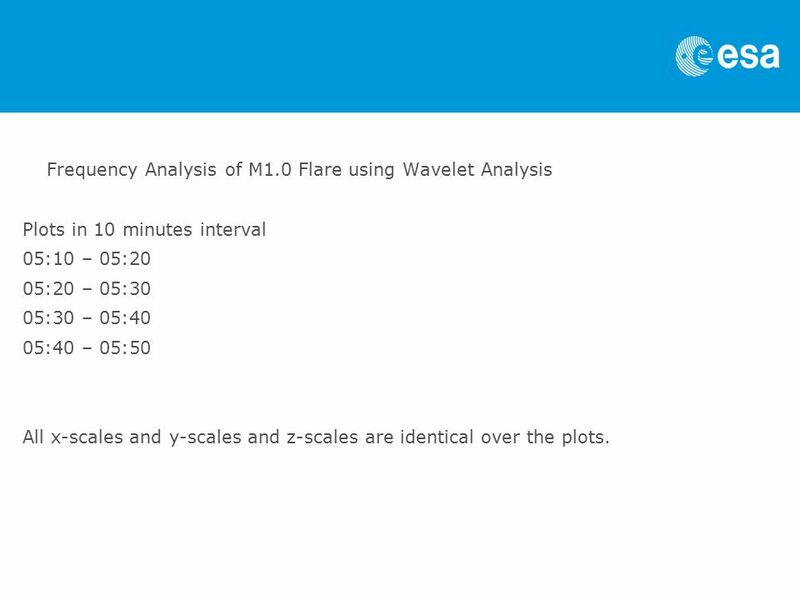 18 Frequency Analysis of M1.0 Flare using Wavelet Analysis Plots in 10 minutes interval 05:10 – 05:20 05:20 – 05:30 05:30 – 05:40 05:40 – 05:50 All x-scales and y-scales and z-scales are identical over the plots. 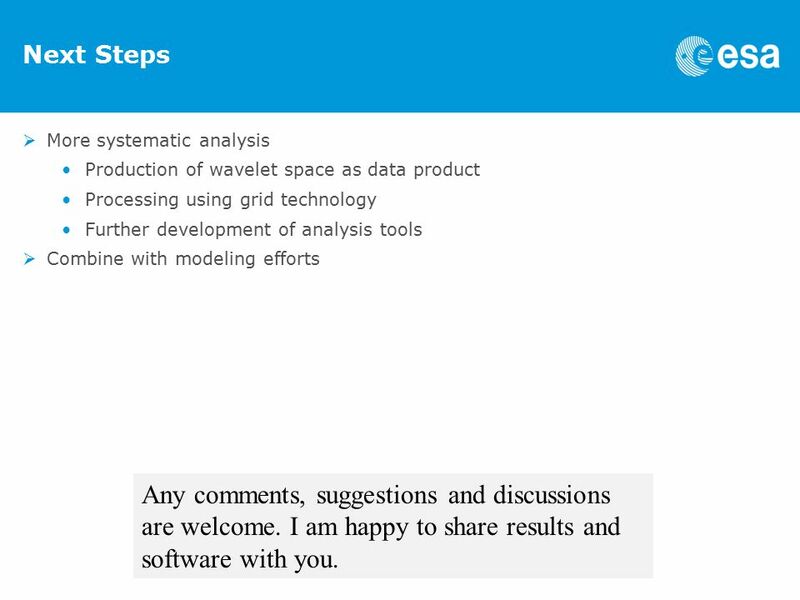 26 Next Steps  More systematic analysis Production of wavelet space as data product Processing using grid technology Further development of analysis tools  Combine with modeling efforts Any comments, suggestions and discussions are welcome. 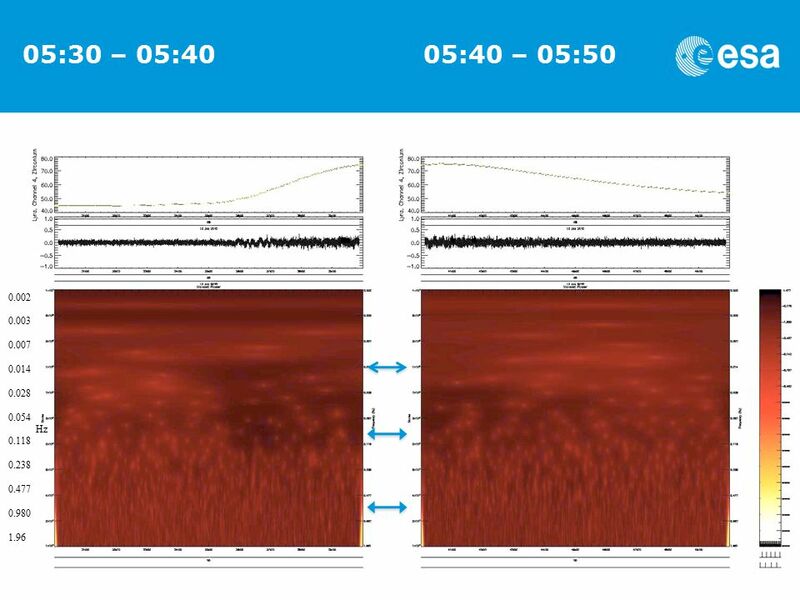 I am happy to share results and software with you. 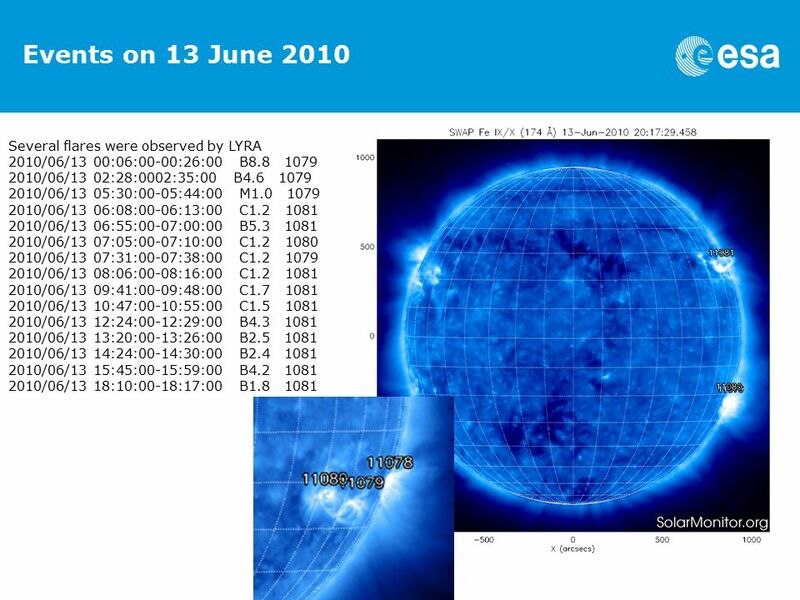 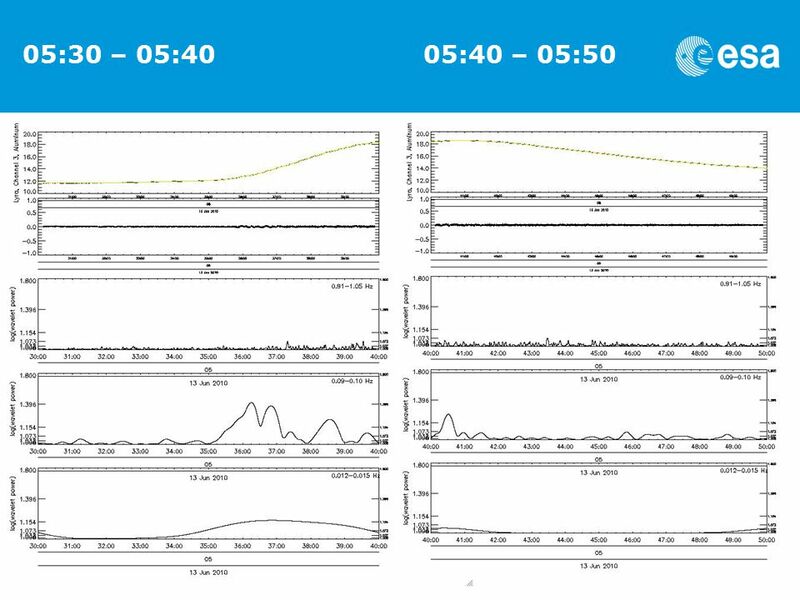 Download ppt "Temporal and Frequency Variations of Flares observed by LYRA onboard of PROBA2 B. Foing (1), D. Vagg(2), M. Dominique(3),"
Flare Luminosity and the Relation to the Solar Wind and the Current Solar Minimum Conditions Roderick Gray Research Advisor: Dr. Kelly Korreck. 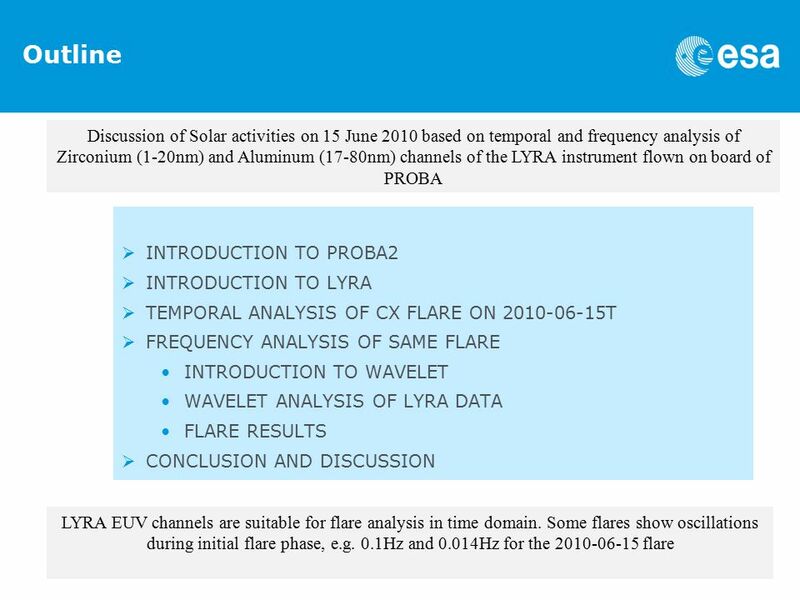 Solar flare studies with the LYRA - instrument onboard PROBA2 Marie Dominique, ROB Supervisor: G. Lapenta Local supervisor: A. Zhukov. 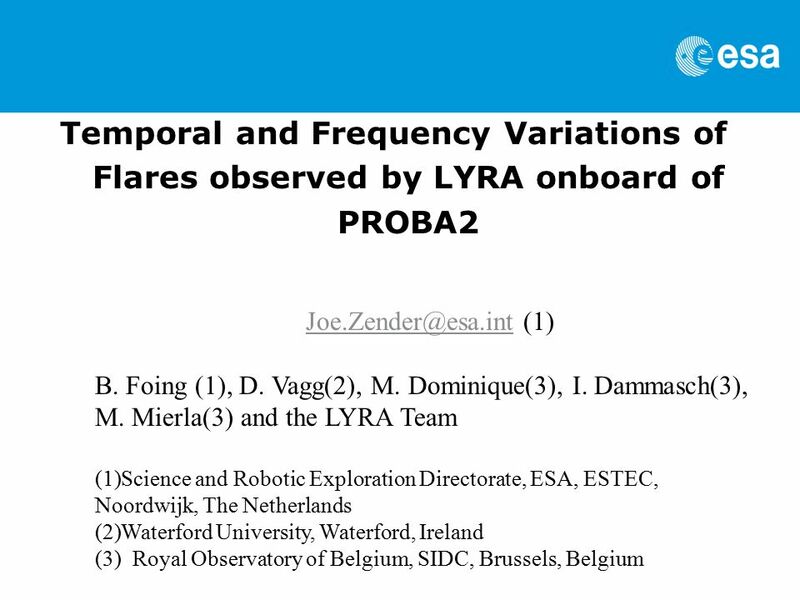 LYRA on-board PROBA2: instrument performances and latest results M. Dominique (1), I. Dammasch (1), M. Kretzschmar (1,2) (1) Royal Observatory of Belgium. 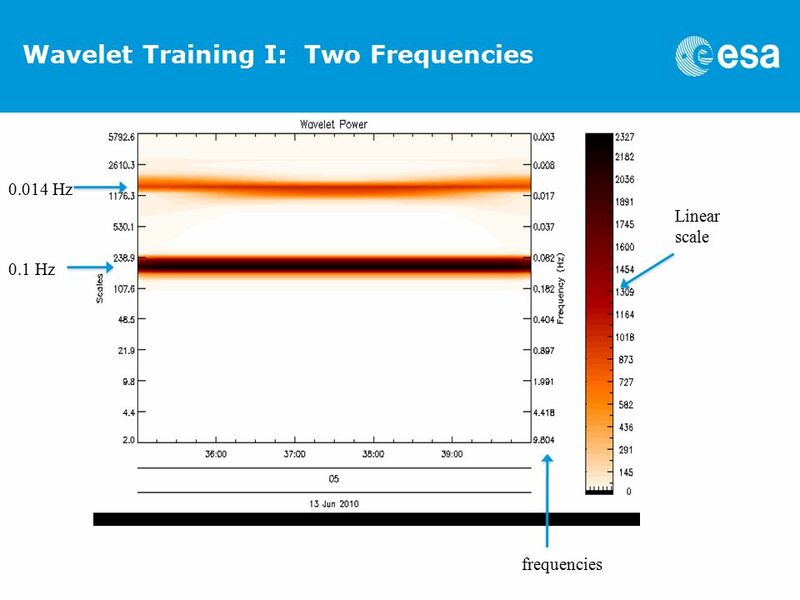 Pre-launch Characterization of the CERES Flight Model 5 (FM5) Instrument on NPP S. Thomas a, K. J. Priestley b, M. Shankar a, N. P. Smith a, M. G. Timcoe. 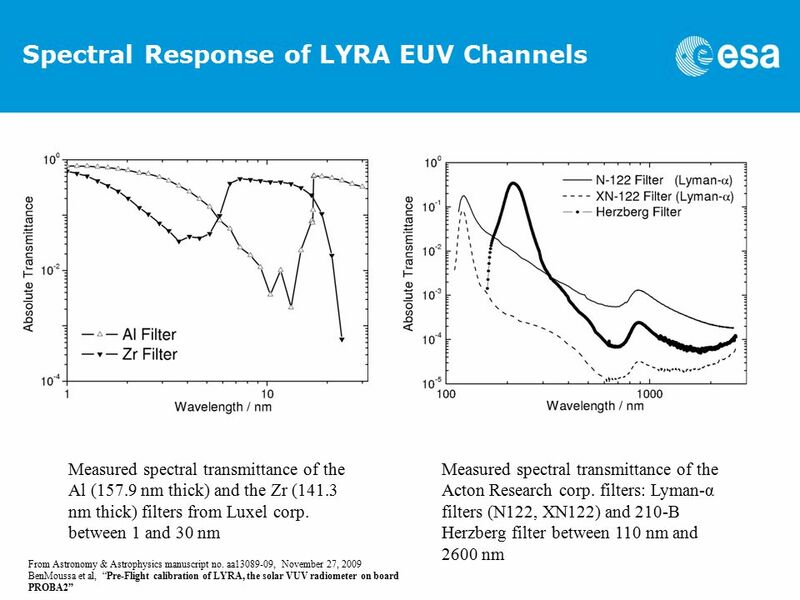 Impact of the Particle Environment on LYRA Data M. Dominique, A. BenMoussa, M.Kruglanski, L. Dolla, I. Dammasch, M. Kretzschmar PROBA2 workshop, May 04. 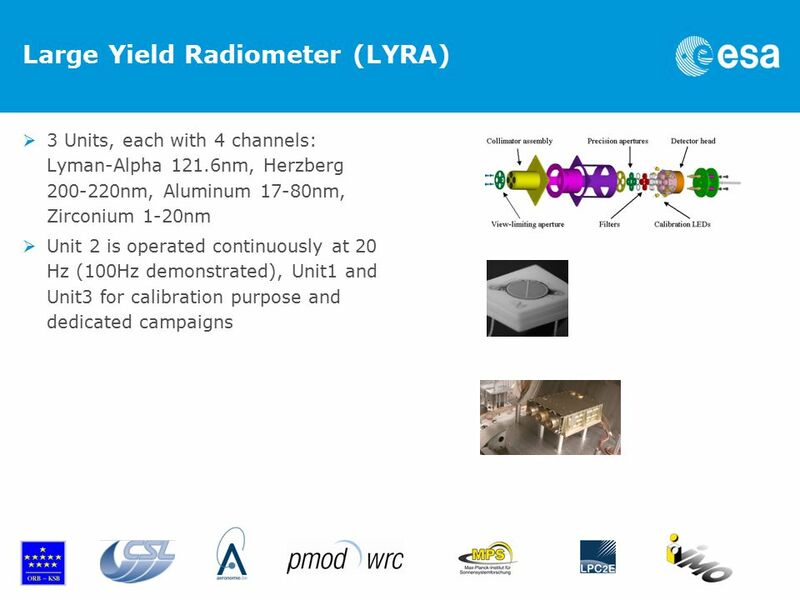 LYRA status update M. Dominique and I. Dammasch ESWW9, Brussels 2012. 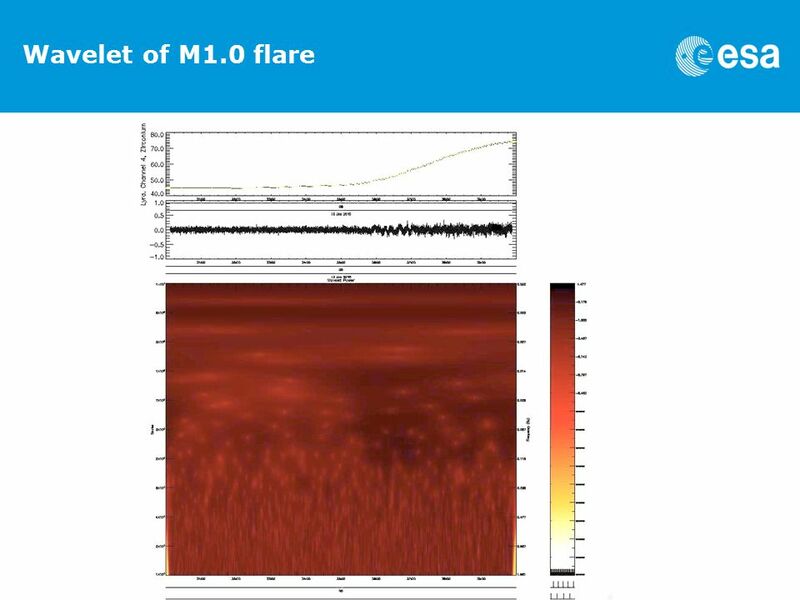 Ingolf E. Dammasch ROB/SIDC Brussels, Belgium Solar UV Spectroscopy with SUMER on SOHO. 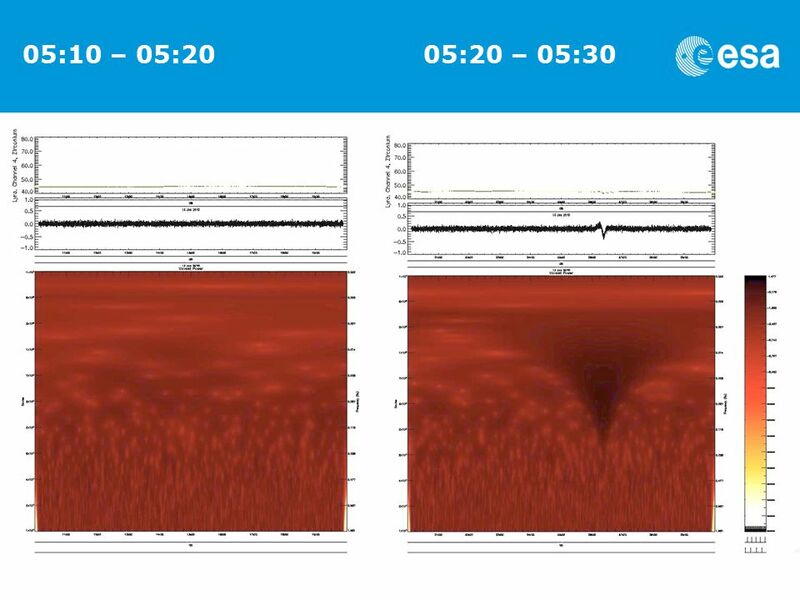 Time Transfert by Laser Link T2L2 On Jason 2 OCA –UMR Gemini Grasse – FRANCE E. Samain – Principal. 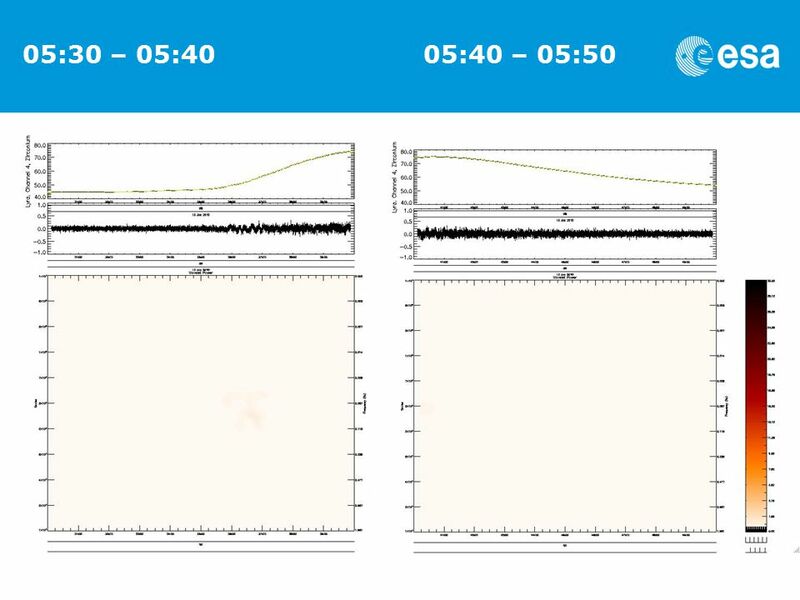 Solar radio observations in Belgium C. Marqué, F. Clette, J.-L. Dufond, A. Ergen, J. Magdalenic, B. Dabrowski Royal Observatory of Belgium 2 nd LOFAR Solar. 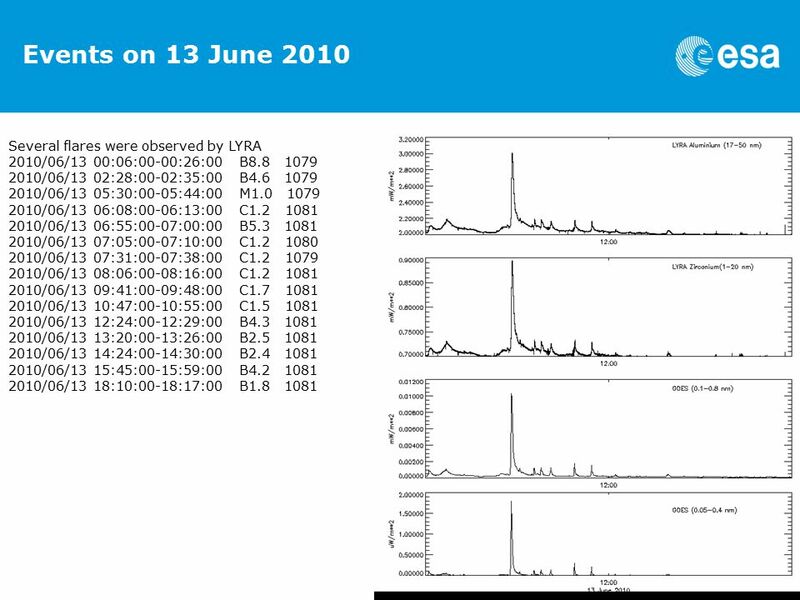 RHESSI/GOES Observations of the Non-flaring Sun from 2002 to J. McTiernan SSL/UCB. 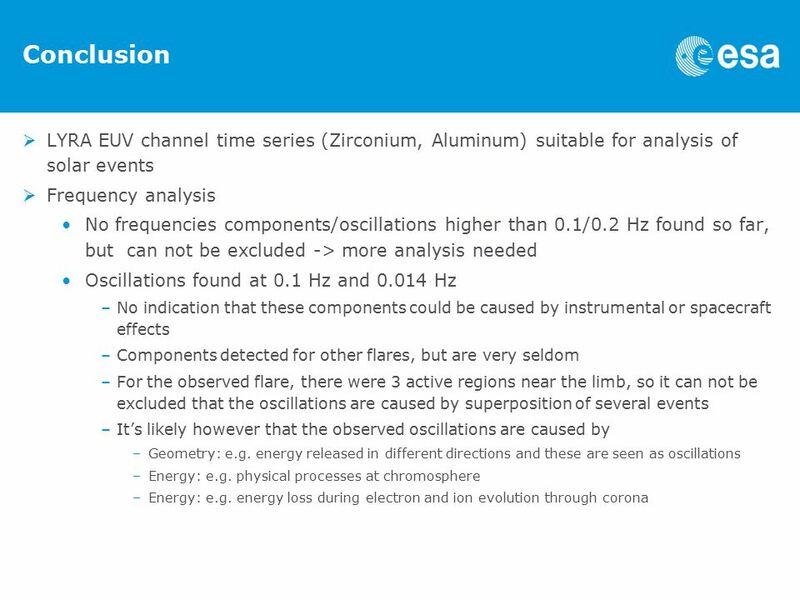 Coronal Loop Oscillations Seen in Unprecedented Detail by SDO/AIA Rebecca White and Erwin Verwichte University of Warwick, Centre for Fusion, Space and. 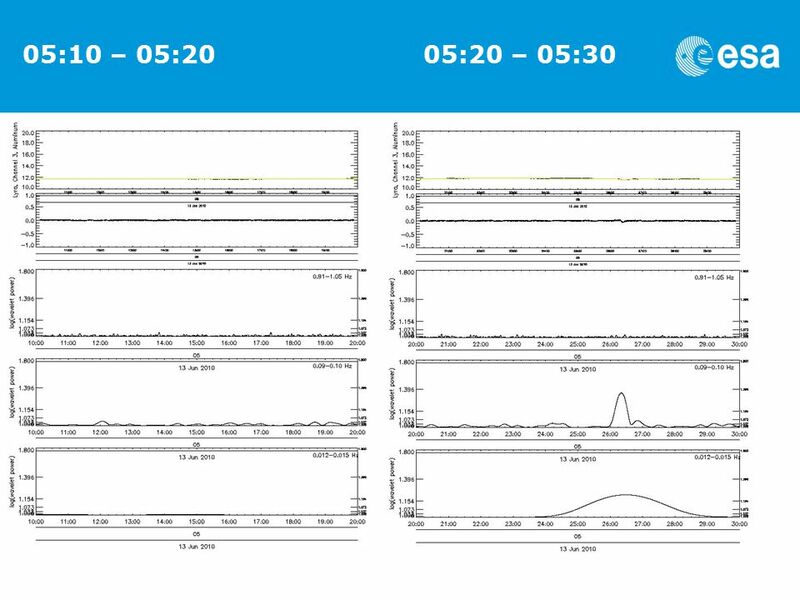 Institutes Royal Observatory of Belgium (Brussels, BE) Principal Investigator, overall design, onboard software specification, science operations PMOD/WRC. 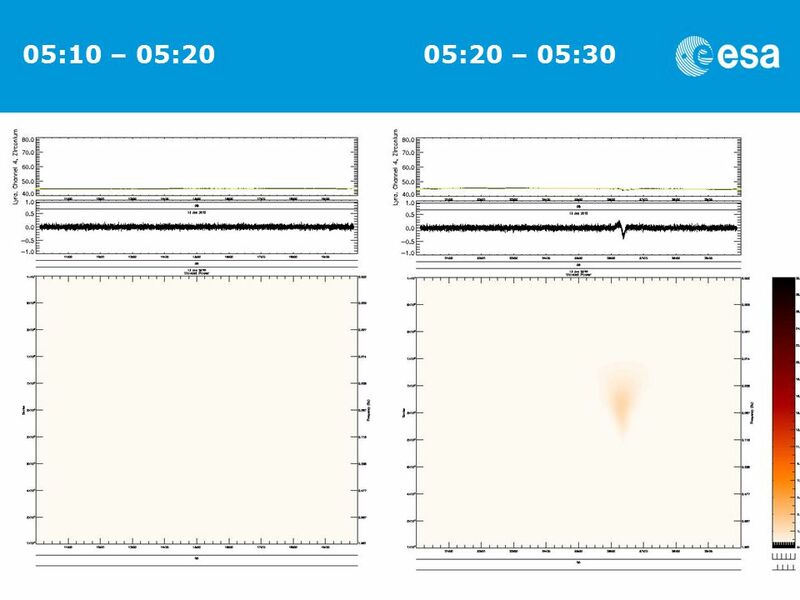 PROBA2 a Space Weather Monitor Matthew J West ESWW10 - Nov 2013. 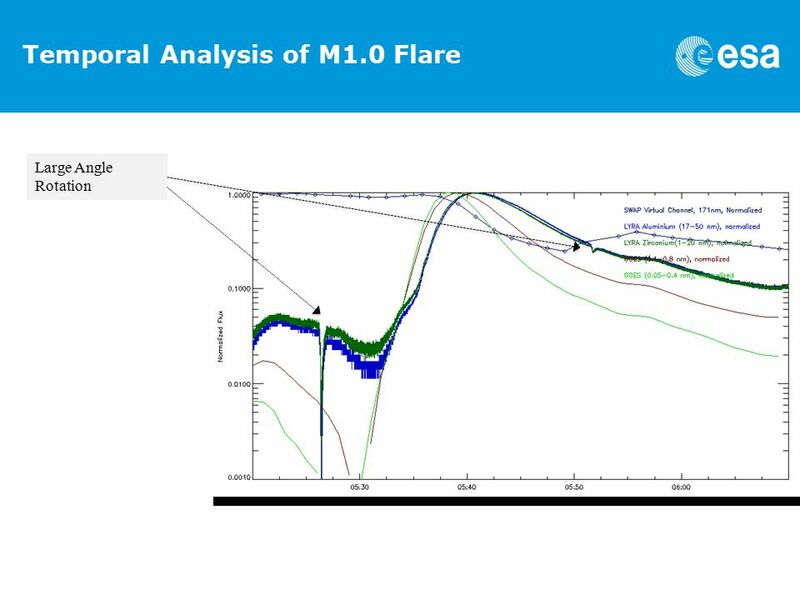 Thermal evolution of flares observed by PROBA2/LYRA I. E. Dammasch, M. Dominique, M. Kretzschmar (ROB/SIDC), P. C. Chamberlin (NASA/GSFC) COSPAR 39 th. 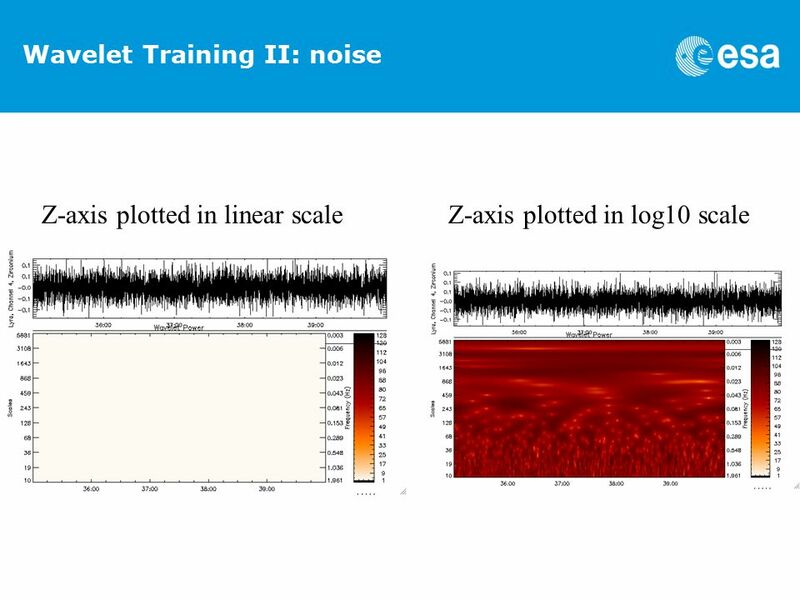 Wavelet transformation Emrah Duzel Institute of Cognitive Neuroscience UCL. 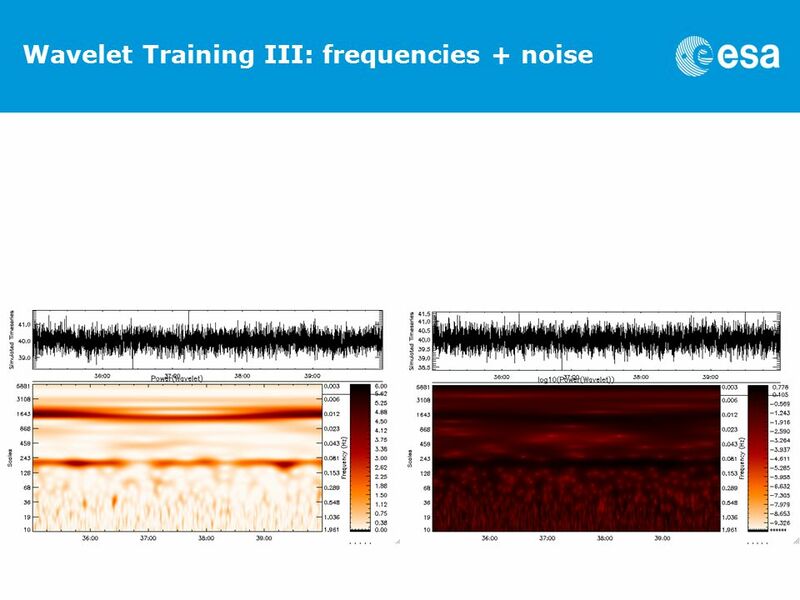 Earth Observation, Navigation & Science Page 1 Capacity Final Presentation, , Estec, Noordwijk Report for WP 3300 WP 3300. 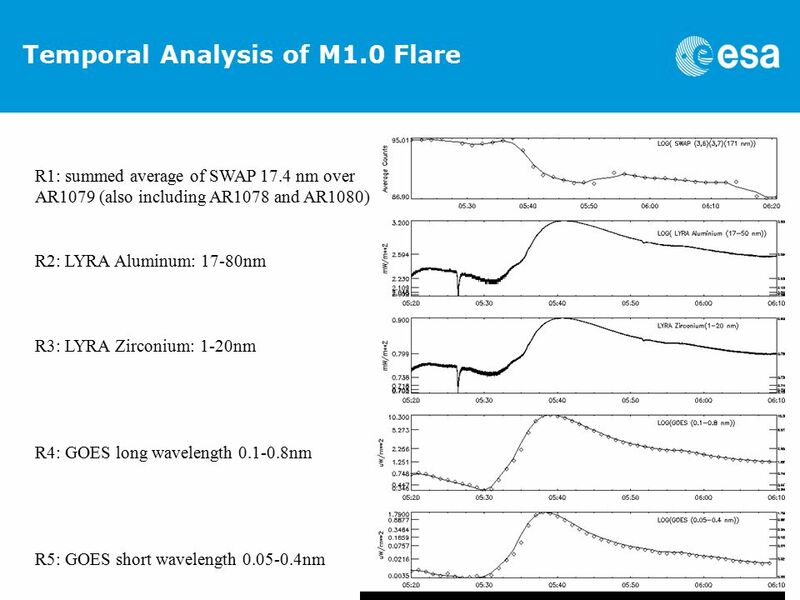 Components of soft X-ray and extreme ultraviolet in flares observed by LYRA on PROBA2 I. E. Dammasch¹, M. Dominique¹, M. Kretzschmar¹, P. C. Chamberlin².